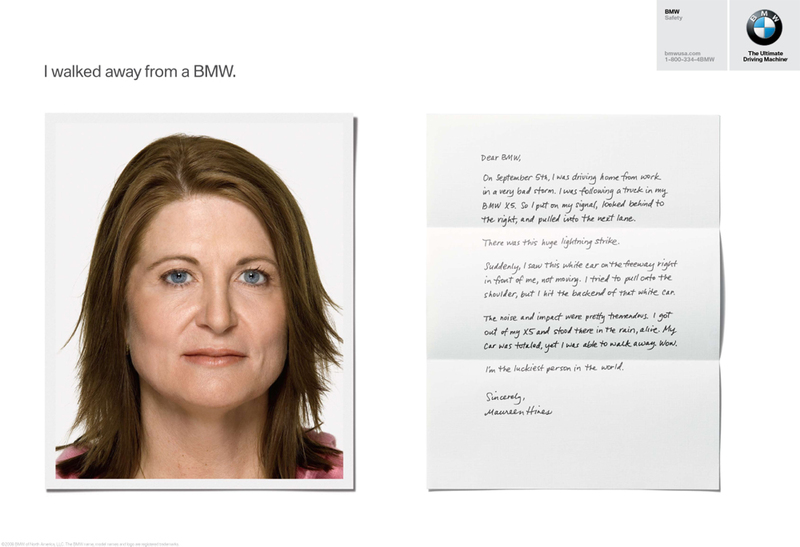 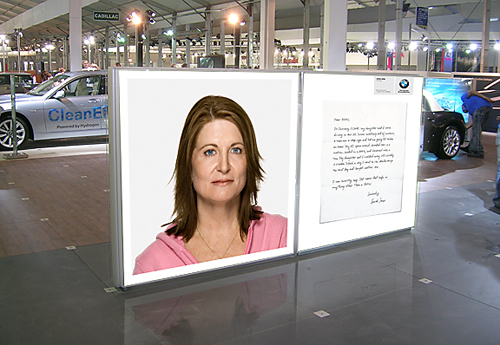 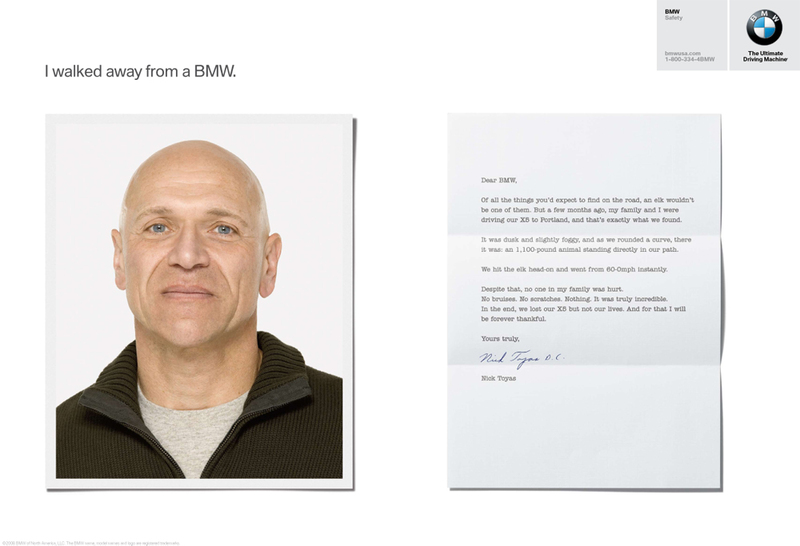 Created a multi-media campaign for BMW Safety. 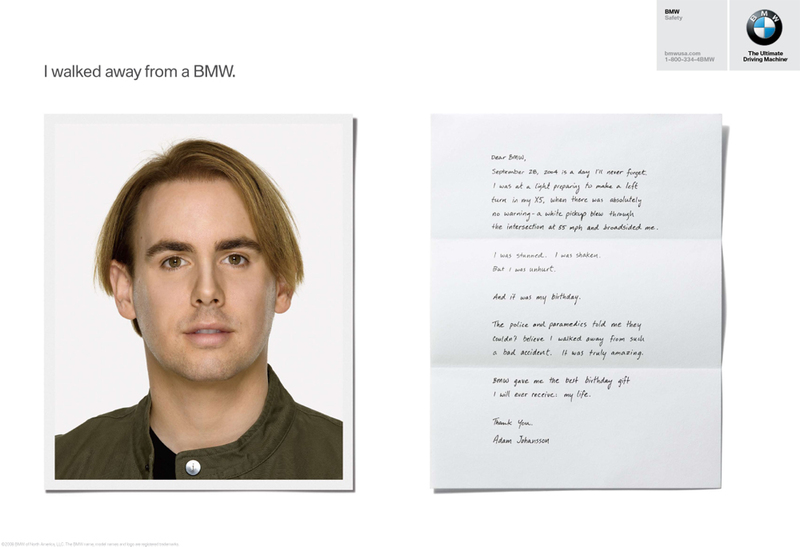 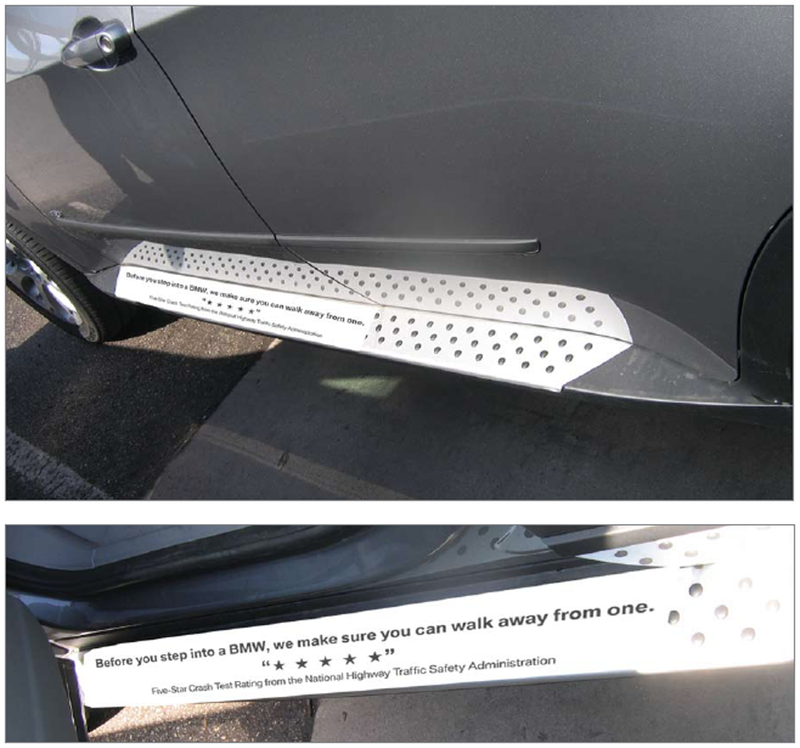 BMW takes their safety record seriously and they wanted the world to know. 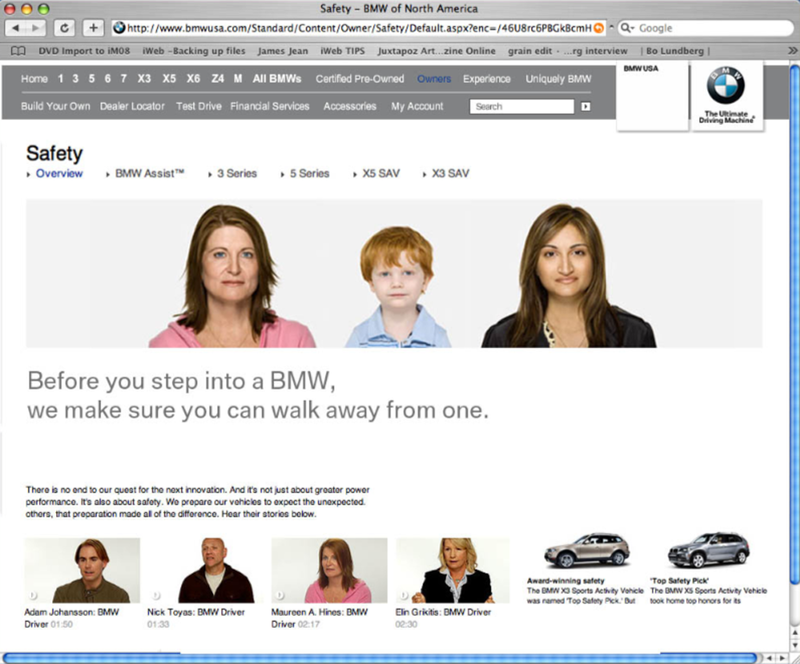 With renowned photographer Andrew Zuckerman, my team and I interviewed BMW drivers who’d survived accidents. 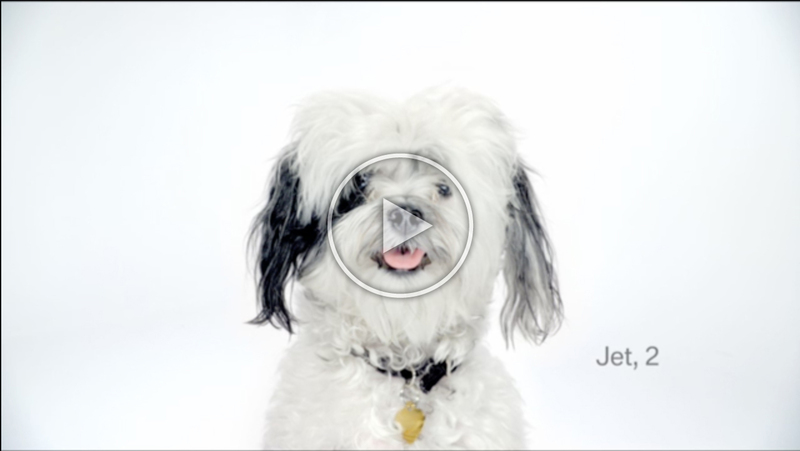 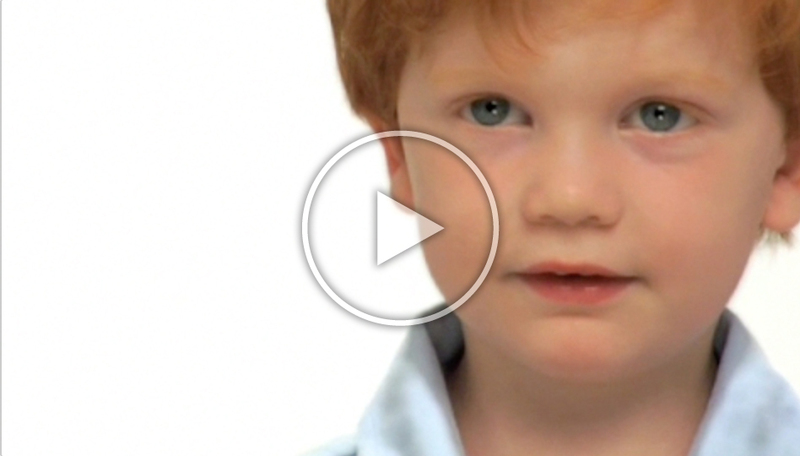 We filmed and photographed these survivors in order to record their stories for posterity. 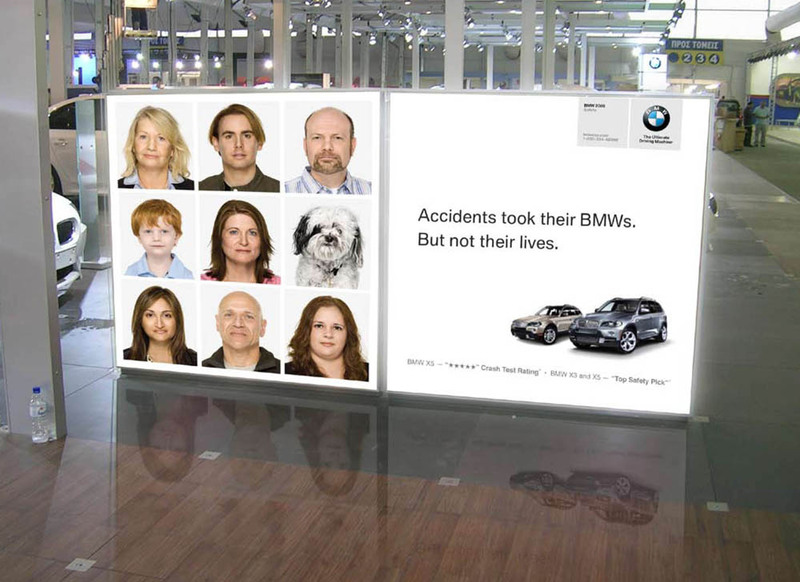 Media included: TV, print, digital, radio, auto show and dealership Out of Home, as well as a short documentary. 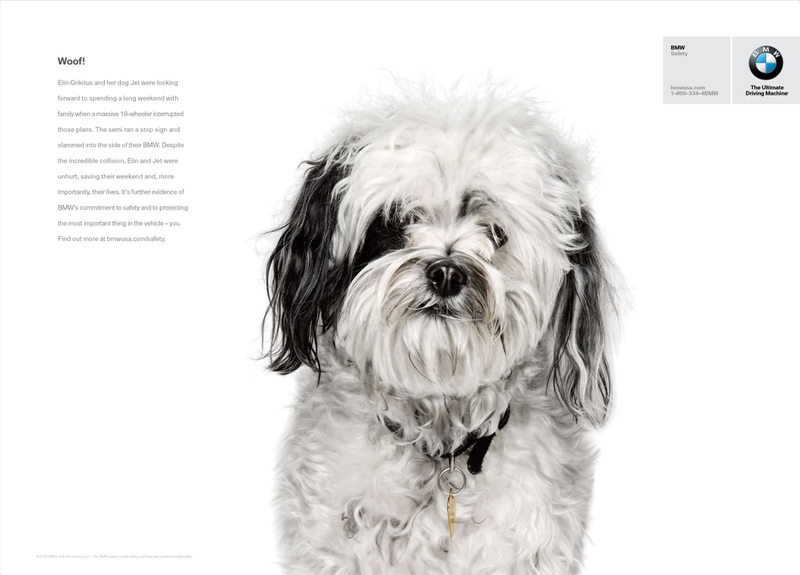 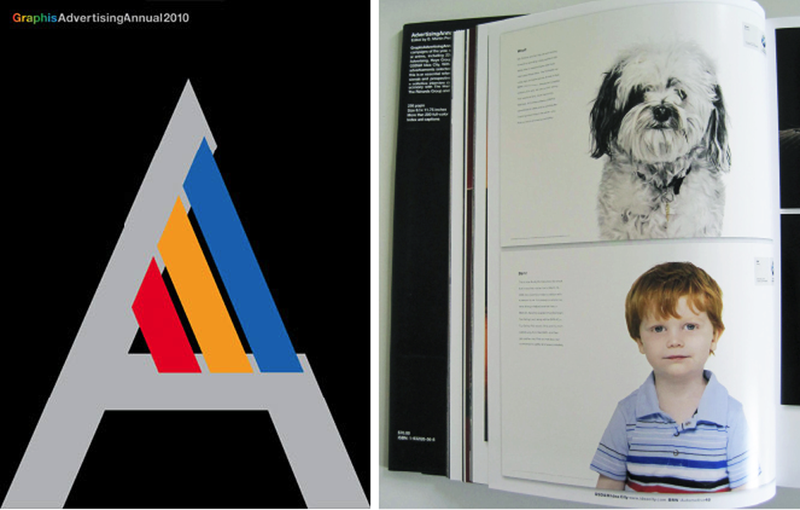 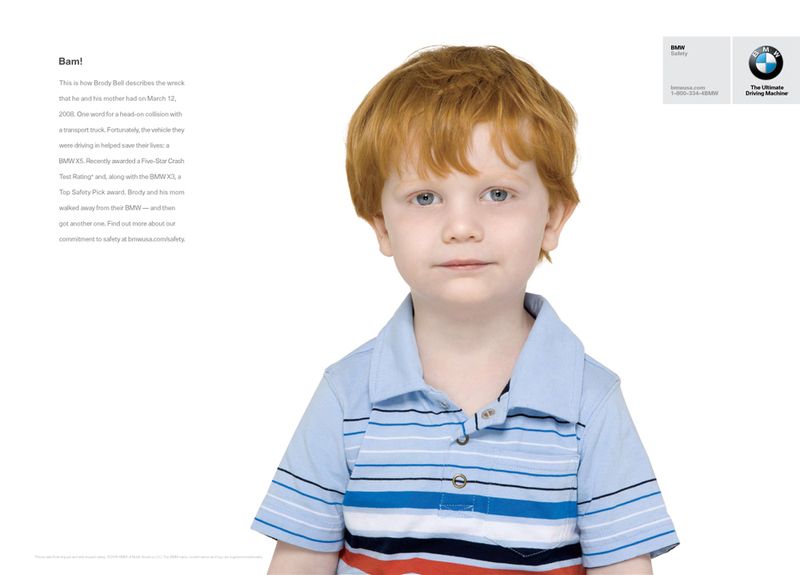 Awards: GRAPHIS Advertising Annual 2010 GOLD WINNER, among others.